Re-barreled in Belgium, rather than UK. Barrels are not original, they are Belgian according hallmarks. Ding, ding, ding – that’s it. 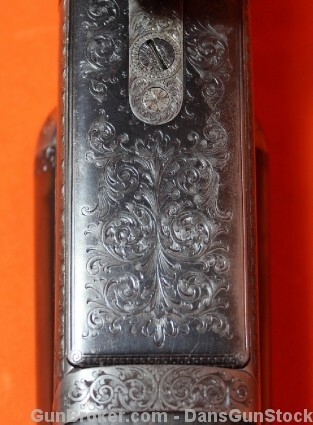 The gun was around 1902. Those barrels were made in Belgium after 1924. It’s still a nice gun, though. Correct! They were added at a late date. Nicely done, though. 1. The proof marks are not of Birmingham or London, but of Liege in Belgium. 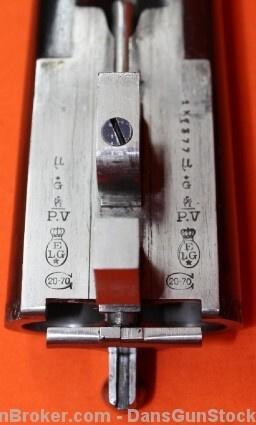 2.Hard to tell in the side-on photograph accurately but the drop lock looks suspiciously as if a spring has slackened ( or even an incorrect spring fitted) as the fit to the action isn’t finely flushed. Just a thought. Correct on the bbls. They were added at a later date. Not sure about the spring, but I’ll take a closer look. Good eye. You would need to blow up the top photograph in order to see what I mean, but then again the photograph could be deceiving by shadows cast. An interesting gun nonetheless though not original. So did they lift the rib from the original barrel set or just forge WR’s name on the new rib? 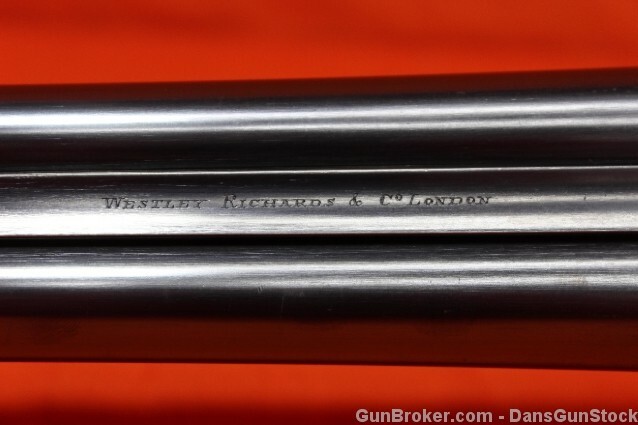 Westley Richards & Co. London – or Birmingham? Yeah – I think it’s a nice Westley and it was good deal. The bbls look well done. I bet they used the used the original ribs again. The bbls were done a while ago, and they look well done. 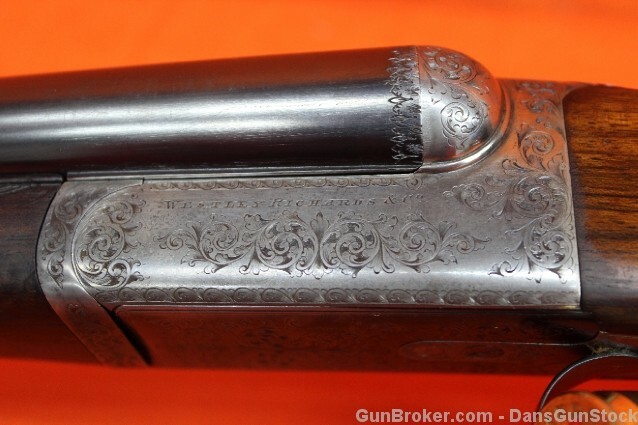 I saw this gun the day it was posted & like you got pretty interested…UNTIL I saw the Belgian proof marks. 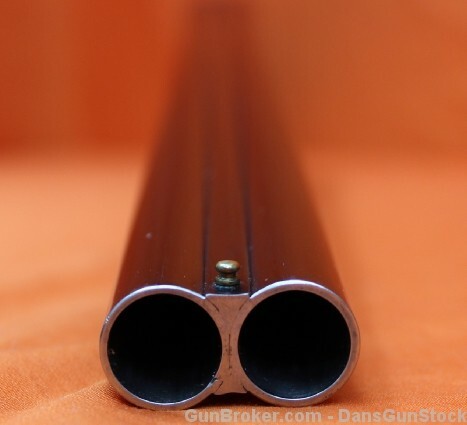 My guess is that this gun was sent to Belgium in the 50s to have its original Damascus barrels (turn of the century serial # range gun) replaced with steel barrels…We all know that damascus barrels are un safe..RIGHT! L-O-L! 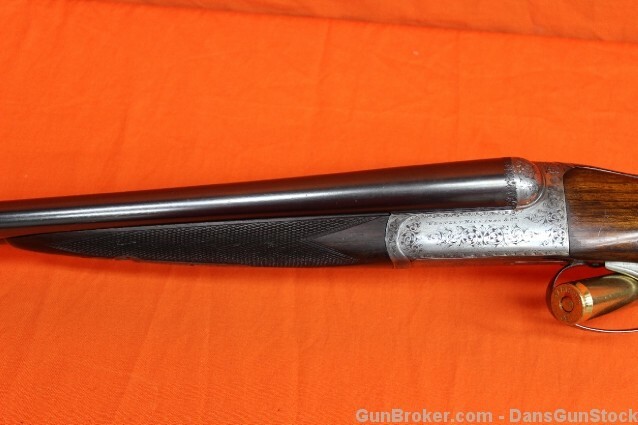 Man, just think if it had it’s original Damascus (if that was the case) barrels…I would have been all over that! Now, let me state this. 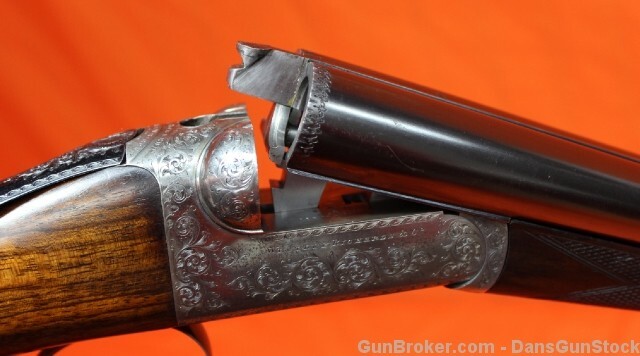 The gun is still a great value to a collector that wants a little “rainy day” shooter. Apparently somebody felt the same as it has been sold. Nice gun, good deal, hope the new owner enjoys it! Who ever did the rebarrel did a great job and the rib is WR. Gun it tight and should last many years, I hope. Excellent – congratulations. It looks like a nice double – and it certainly was a good deal. Does it have a hinged floorplate, or does the floor plate came away from the action when opened? Glad somebody grabbed that gun up..Like I said…excellent “rainy day” gun (or any day for that matter). Thanks. I wonder if it will stick this time around. Hmmmm – wonder what’s up with “dat”?